STC > Consumer Information > Declined for LTC Insurance? To purchase a long-term care insurance policy individuals must meet health standards as well as height and weight criteria. Many people who take the time to apply for long-term care protection are declined because of existing health conditions or medications taken. If you were declined for long-term care insurance for health or cognitive reasons, short-term care insurance may be an option available to you. If you (or someone you know) has existing health issues … or some cognitive issues … they definitely should consider short-term care insurance. 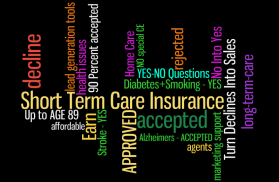 It is generally easier to meet the health requirements for short-term care insurance protection. In fact, some applications consist of as few as four (4) “YES – NO” health questions. No medical records may be required. No cognitive interview may be conducted. Nearly half (44%) of the seniors over age 70 who took the time to submit an application for long-term care insurance were declined by the insurance company. By comparison, some short-term care insurance companies report accepting 98 percent of applicants. Some insurers will accept applicants up to age 89. While short-term care insurance plans offer more limited benefits, consider the following; first, some 41 percent of all long-term care insurance claims are 1 year or less. And, if you ever need care, having some coverage in place gives you added choices and options. That year of benefits will give you time to put a loner-term plan in place. DECLINED FOR LONG-TERM CARE INSURANCE? If you or someone you know has been declined for long-term care insurance and the agent never suggested a short-term care insurance option, call us or request a no-obligation free short-term care insurance cost comparison from a designated Center specialist. 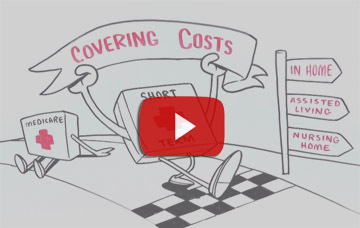 SHOPPING FOR MEDICARE SUPPLEMENT INSURANCE? 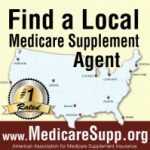 Our sister organization offers you access to a no-cost online directory of Medicare Supplement agents. Just enter your Zip Code and see agents located closest to you. You see their info. THERE IS NO INFORMATION YOU NEED TO ENTER … and unlike other websites that sell your information to multiple agents … no one knows who you are until you ask them for information. Visit the American Association for Medicare Supplement Insurance website today.